Sonic technology brings cleansing to another level. 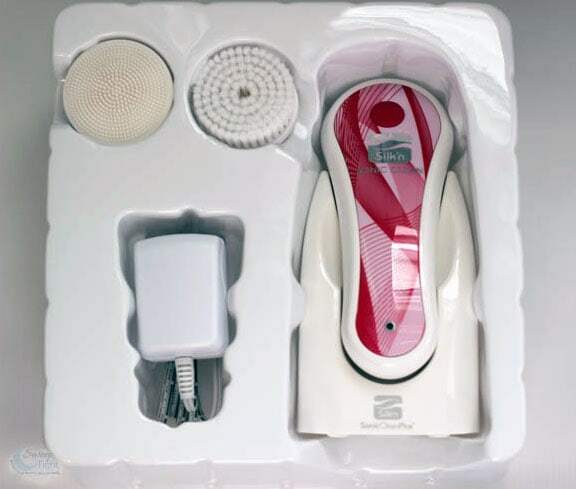 For a deeper cleansing, the Silk’n SonicCleanPlus is a device you can use at home for the body and face. This post is sponsored, but all opinions are my own. My skin has always been a trouble area for me. It’s oily, zitty, and constantly feels greasy. Now that I am in my thirties, you can add wrinkles into the mix. Gone are the days of expensive facials in the salon. With devices like the Silk’n SonicCleanPlus, I don’t even miss professional facials. I can give myself daily cleansing treatments in minutes. My skin feels cleaner and smoother than ever with just sixty seconds of sonic technology. 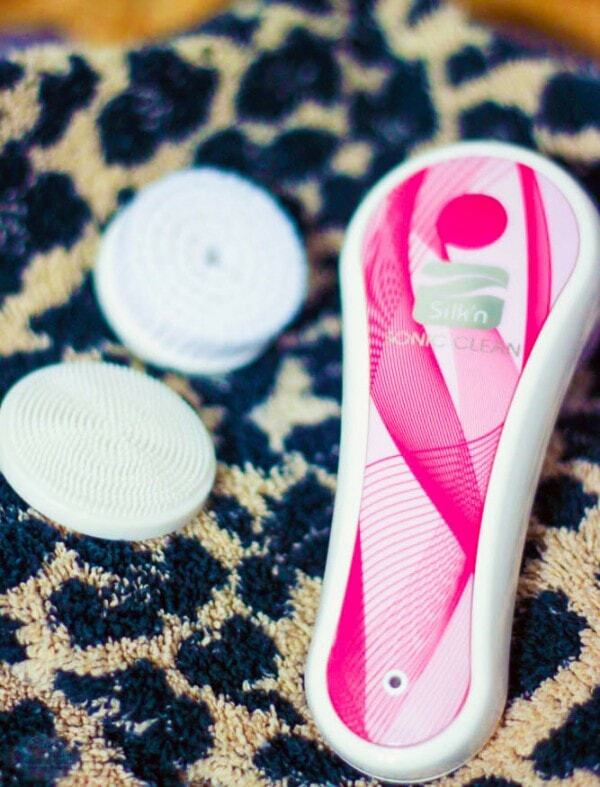 The Silk’n SonicCleanPlus uses sonic technology to get skin deep down, to the core clean. This technology uses sonic vibration and the largest motor on the market to deliver super strong vibration to every bristle on the brush. The high-frequency vibration produced by the motor and gentle but effective micro-fiber bristles remove dirt, makeup, and dead skin cells. All of this means that a good once over with the Silk’n SonicCleanPlus gets all the mung and grossness out of my pores and leaves them all nice and shiny clean. I love that because a clean pore is a zit-free pore! No zits, please! The Silk’n SonicCleanPlus has two cleaning modes, both of which take advantage of its sonic technology. Use the vibrate mode to increase oxygen flow through the skin to improve blood flow and circulation while cleaning and de-gunking your skin. Pulsating mode uses sonic technology to improve skin elasticity and overall look and feel. Each of these modes have two different settings. A gentle option for those with sensitive skin or who like to keep it light. There is also a more powerful option for really getting in there and scrub a dub dubbing. The Silk’n SonicCleanPlus can be used on the face and body. It’s rechargeable so no need to worry about batteries. I love how clean my face feels after using the Silk’n SonicCleanPlus. It only takes one use to notice the difference. Skin looks brighter, cleaner, and pores look smaller. If you are looking for a deeper cleansing at home, definitely try the power of sonic technology in the Silk’n SonicCleanPlus. This sounds like a great machine. I’d love to give it a try. I have a terrible time keeping my pores clean. I love how stylish and compact the Silk’n SonicCleanPlus is- that charging dock looks great. I’m getting to that age where I need to start looking into skincare routines. I have been blessed with great skin, but this would help keep it that way! I have something similar, but I love the different heads this one has! It looks great- especially for this time of year when all the sweat clogs my pores! I HAVE to try this. My face is always oily and it drives me crazy. I need something like this to help me clean my face! It looks like such a great tool! I have never used one of these on my face. I sure want to try it though! Ugh, my face needs something. I feel like I have a whole layer of yuckiness from the winter. This sounds great! I seriously could not survive without my sonic facial brush. It works wonders on my skin and removes all traces of dirt and makeup. I could really use something like this! Would you believe I’ve NEVER had a professional facial! I can only imagine the years worth of gunk built up. Now that heat is turning up, I need something to de-gunk my face! This looks like it would do the trick! It would be awesome to add this to the daily routine. I’ve heard a lot of positive things about these. Oh I want to try this for my skin. Looks like it would cleanse it so well! I love that this is an affordable option to healthy and beautiful skin. Thanks so much for the review! I will be checking this out myself now. This looks awesome. Would like to try this on my skin. I have been wanting one of these for some time now! I will have to get myself one soon! Wow that sounds really nice. My face is a hot mess right now with my hormones crazy from this pregnancy, I could use a good scrub. This looks really cool. I just had a baby so my skin is all over the place, I want to check on of these out! 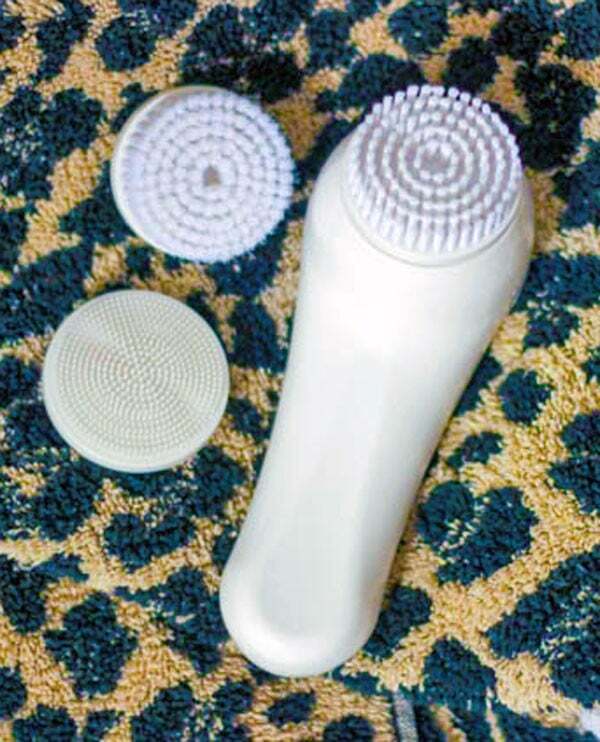 I have been wanting to try one of these cleansing brushes. I will have to pick one up to try.My Daughter would love it. I have heard about Sonic technology for cleansing brushes. I would love to try one. My skin really needs the deep cleaning. I’ve had my eye on this for a while. Looks like it works great! This is much more affordable then the other brands. Love the different heads, i would need the sensitive one. Great way to cleanse. This is a very nice deep cleaning device to help me clean my skin and get it exfoliated and make it look nice and clear. I need to get one of these!